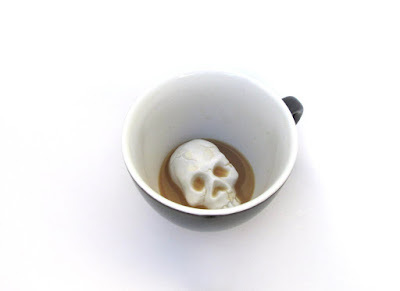 When I was a young gothling, my grandmother had a special cup she'd entice us to drink our milk from. There was a little honeybear at the bottom, and we'd drink eagerly to get to see its face. 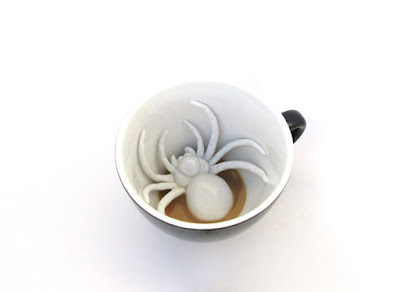 Luckily your own progeny will be able to enjoy much creepier Creature Cups thanks to this company! 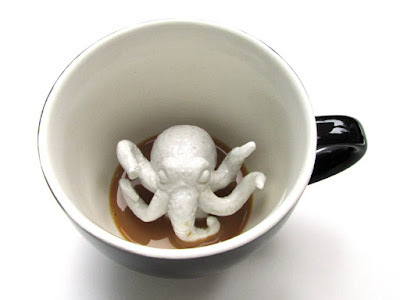 As shown, they work best with chocolate milk, coffee or hot cocoa. 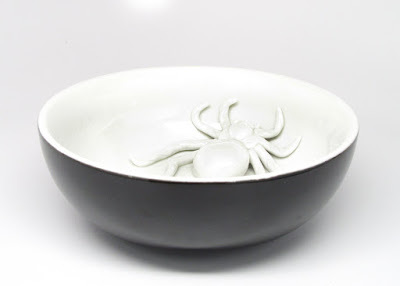 They even make a Spider bowl to eat your Frankenberry out of! 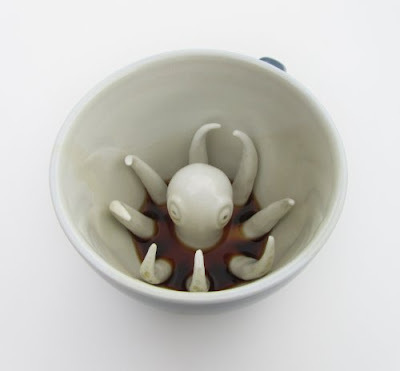 The Creature Cups are also sold on eBay.